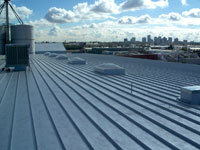 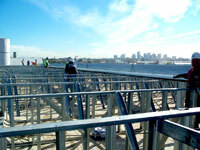 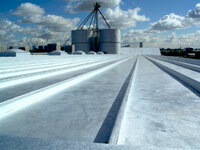 The Ultra Seam Retrofit Metal Roofing System is an engineered framed system which supports a new sloped roofing system. 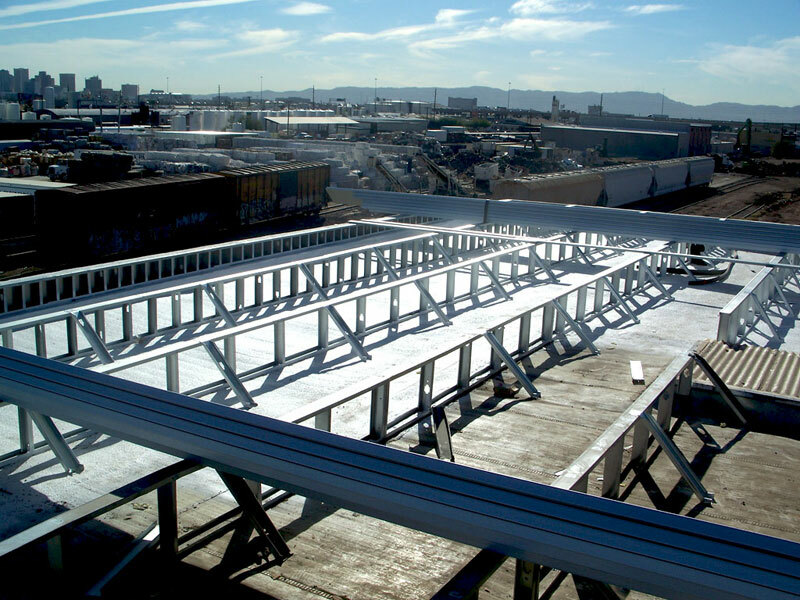 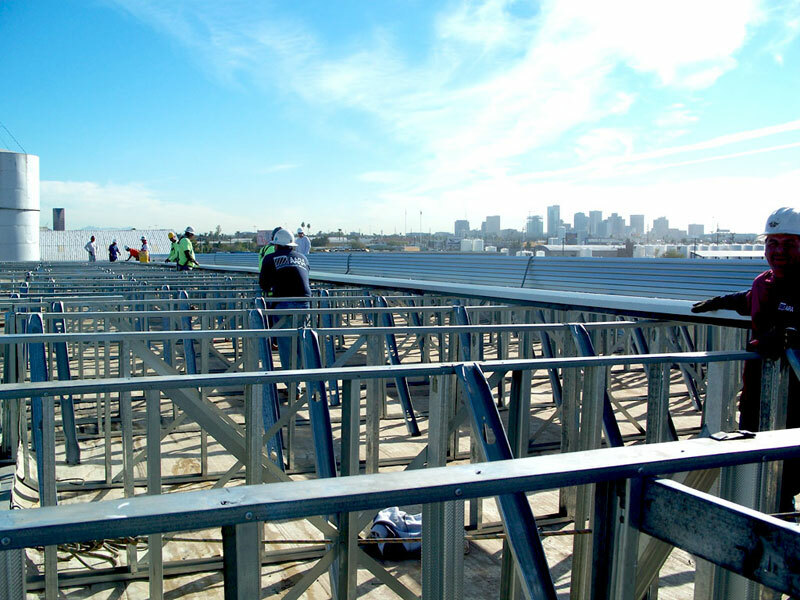 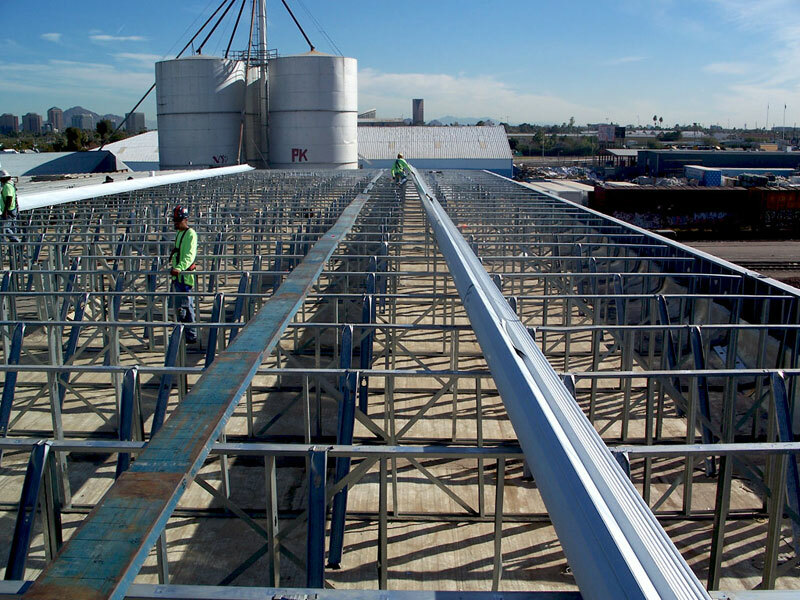 The system is light weight and can usually be installed over the existing roof without the cost of demolition and tear-off. 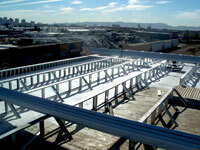 A sloped roof will always out perform a flat roof. 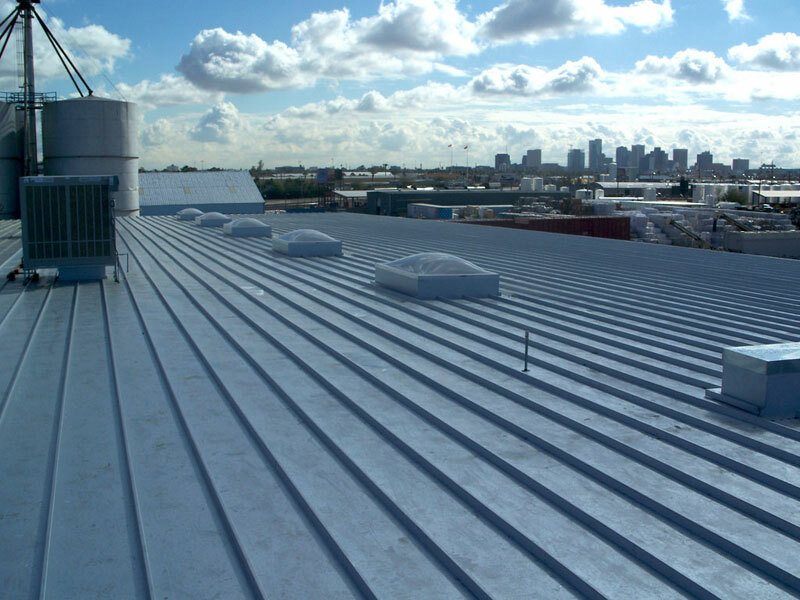 A flat roof typically ponds water and the internal drains can clog and cause serious problems requiring continuous maintenance. 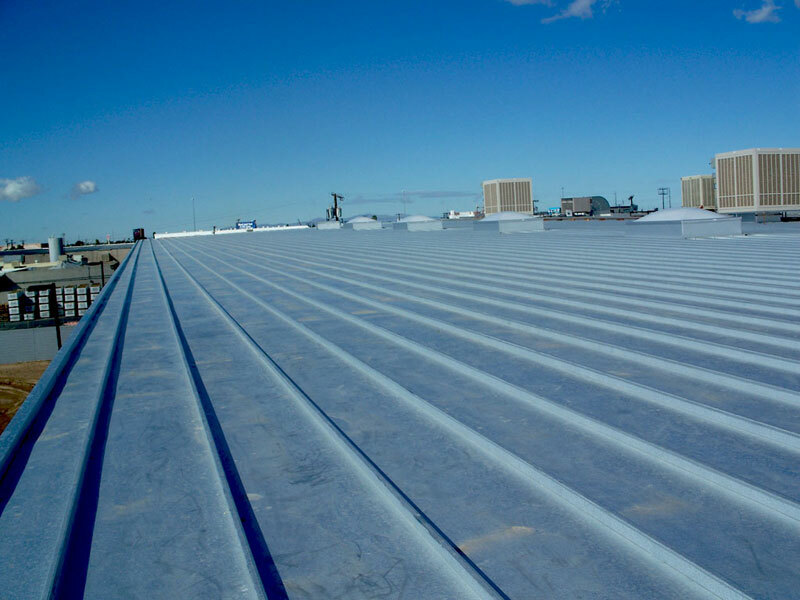 An Ultra Seam Retrofit Roof can eliminate ponding and clogged roof drains.Retrofitting with a sloped metal roof will provide an update to the building that is aesthetically pleasing and provide substantial savings in maintenance costs. 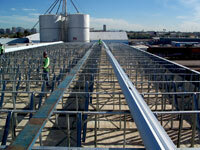 We can work to develop a system that will fit your project. 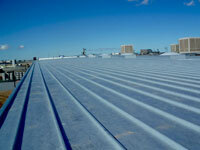 AARA Architectural Metals offers many design and color choices.